Win&Win Archery manufacture recurve bows for a world of champions, where every archer in every nation strives for perfection since 1980. BLACK WOLF series makes no exception and gathers both Win&Win's heritage and experience in building recurve bows for hunting, without sacrifying maneuverability. 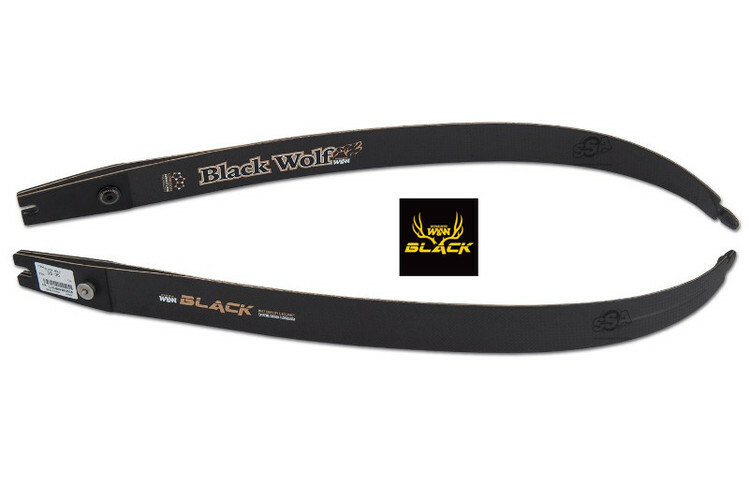 Black Wolf recurve was the ultimate traditional recurve bow with 17'' carbon riser paired with all Win&Win limbs. ILF campatible machined solid limb pockets guarantee perfect limb alignment with no vertical or horizontal limb shift. Royal Cross Carbon for power and strength while providing exceptional accuracy and smoothness shot after shot. Η αποστολή των προϊόντων γίνεται μέσω της ΕΛΤΑ courier πόρτα - πόρτα.